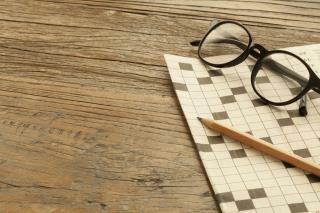 (Newser) – Scottish researchers have some good news and bad news for those who do crosswords, Suduko, and similar puzzles. Such brain-training exercises will not prevent mental decline or ward off dementia, suggests their new study in the British Medical Journal. However, the researchers do see a benefit for puzzlers, making a subtle distinction in what they call the "use it or lose it" debate: Doing puzzles regularly throughout life seems to result in people having a "higher cognitive point from which to decline." The puzzlers just shouldn't expect the decline to be any slower once it begins, reports the BBC. The study looked at nearly 500 people born in 1936 who first took an intelligence test at age 11 and have participated in followup tests over the years, per the Aberdeen Evening Express. Completing long-term projects in a timely way helps. Another benefit of doing puzzles is that they are relaxing. "higher cognitive point from which to decline." That's true both mentally and physically. Being physically and mentally active can push off the inevitable and give you more good years.